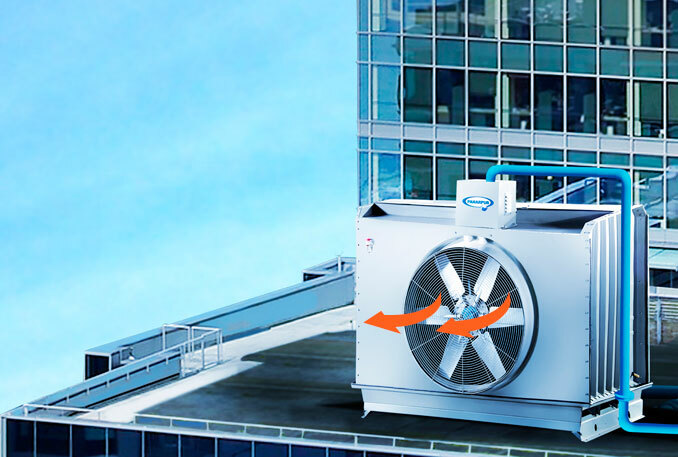 The Paharpur AQ-3800 has been designed as a flexible, modular and efficient cooling solution ideal for commercial spaces – along with a unique Uni-flow™ design and its many advantages to the HVACR industry, it is truly the universal HVACR cooling tower. Several design improvements and some major redesigns over the last few decades have made the AQ Series one of the most effective and sought after cooling towers in the HVACR industry. Paharpur has installed over 20,000 AQ towers worldwide. In a Uni-flow™ system, air-flow in a cooling tower does not change direction – air-entry and discharge are in the same direction. This design feature allows flexible orientation of the cooling tower at the site, revealing some unique advantages. Eliminate fogging With horizontal discharge, you can orient the cooling tower away from the building, thereby eliminating the problem of fogging on the façade. This convenience would have not been made possible in cooling towers with vertical discharge. 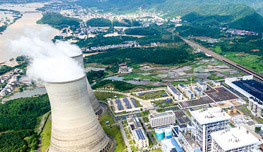 Save fan power consumption In most cooling towers, air-flow changes direction by 90°, which is the cause of a certain pressure drop – to compensate for this, a higher fan power is required. In the AQ Series’ Uni-flow™ system, both incoming and outgoing air are on the horizontal plane. No change of direction of air-flow means a reduced pressure drop, which eventually helps save on fan power consumption. Horizontal discharge allows you to orient your Paharpur AQ Series away from your building, thereby reducing sound and eliminating the nuisance of fogging over the building’s glass façade. It also reduces pressure loss inside the fill, helping save on fan power. 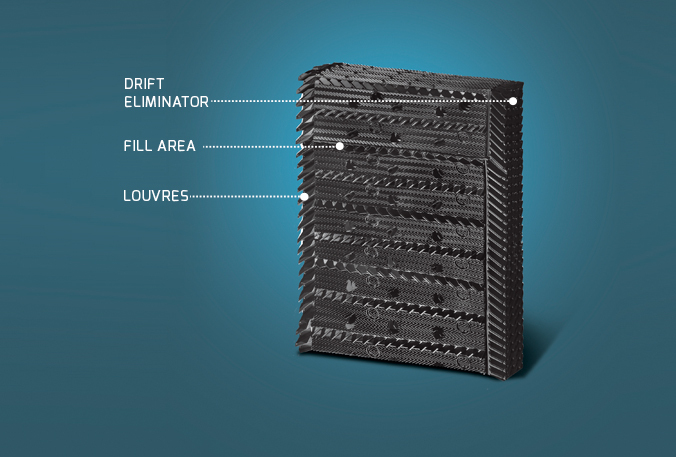 Paharpur designs integrated fill systems for its AQ Series – integrated with drift eliminators and louvres. These vacuum-formed PVC fill sheets are designed for maximum cooling capacity per unit volume and can withstand hot-water temperatures upto 55°C – beyond which splash-type timber fill is provided. Inspect the fill from outside the tower The MX75 integrated fill can be inspected for clogging, fouling and misalignment from outside the tower during operation without having to remove any parts. Online inspection of fill condition is possible only in Crossflow cooling towers. Easy access allows you to locate damage & decay in its early stages and avoid long durations of downtime. Replace nozzles during operation Paharpur’s Spiral Target Nozzles, made of inert polypropylene plastic, are easy to remove and replace. Operators can reach into the hot-water basin and simply pull off damaged nozzles and replace them. Remote Oil cup for Bearing Housing A remote Oil cup for the bearing housing is attached to the front face of the cooling tower. Oil levels can be observed during operation, without any need for downtime; the cup can also be refilled with the requisite amount of oil during operation.